Junior year of high school, Sunday morning, standing in church. Singing the songs and going through the motions. We bowed our heads to pray. It had been another long week… another draining routine of putting on a show – taking on my usual role as the determined athlete, the good church girl, the dedicated student. All while a monster was hiding behind my grand façade. When advocating for recovery or talking about the overall experience of an eating disorder, there is one major aspect that often gets pushed aside or swept under the rug: Faith. Maybe it’s because we don’t want to examine our own faults, maybe it’s because eating disorders carry such a heavy stigma and embarrassment, maybe it’s even because we are confused and angry with God for making us “broken” …I know that was the case with me at first. I often wondered why I struggled so much with religion during my battle with Bulimia. Now, I know: I had such a distorted view of how my faith played a role in my ED and recovery. My mindset of religion and how it worked was incredibly one-way tracked. As far as I knew – “Ask and you shall receive,” right? So, I did the only thing I knew to do – I asked. Relentlessly. I’d wake up and pray for a “good” day. I’d feel the temptation sneaking up on me and pray again for it to go away. 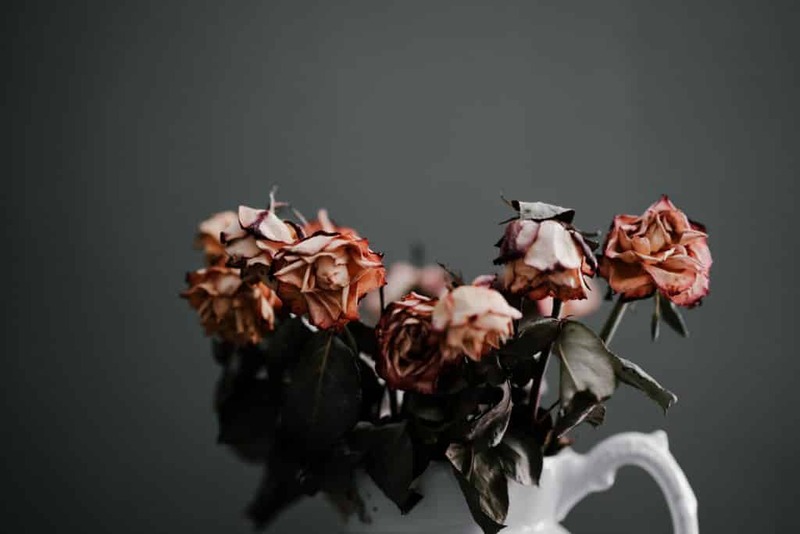 We can all assume how that ended up… I would end my days sobbing, once again praying – pleading – for God to just hurry up and fix me because this was really hard. I kept crying out to God with no answer or solution in return. Over time, my patience in the silence turned into doubt. Doubt turned into anger. Anger turned into bitterness and resentment. As my eating disorder got worse and worse, I felt abandoned. My faith crumbled. Feeling betrayed and unloved by God, I turned away from Him. Want to know what happened next? Things got ten times worse. 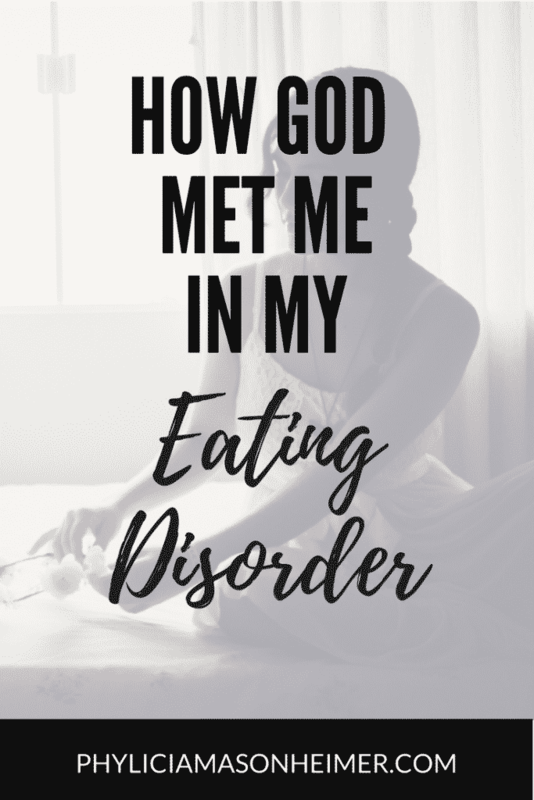 The more my relationship with God fell apart, the further I fell into the clutches of my ED… and the more my body fell apart. The beautiful thing about God’s love is that even after turning my back on Him, He still pursued me. I still remember the exact moment my eyes became opened and everything radically changed. As I was sitting in church (mostly for the sake of my pretend “perfect” life,) my pastor said this: “God is waiting for you and knocking at your door, all you have to do is let Him in.” That small, simple phrase hit me hard. When I prayed my simple “fix me” prayer… that’s all I did. I never pursued Christ, I never read scripture, I never fully let God into my life. I just kind of kept Him on the back-burner and came to Him when I wanted something. Overcome by the brokenness of the world, I believed the lies more than I believed in the sweet redemption I could find in Christ. Overwhelmed with this realization, I went all in. The deceitful lies became replaced by truth in scripture. The feeling of abandonment became replaced with a trusted relationship. The constant fear and weakness became replaced by confidence and strength. The constant battle became replaced by victory. I can confidently say that Christ saved me. Don’t throw away your faith because of unanswered prayers, don’t turn your back on God because you feel betrayed, don’t grow angry in the silence. It wasn’t until I gave it all up to God that I got much greater things in return: Happiness. Freedom. Truth. Redemption. Hi! I’m Adriana! 21 years old and junior at Marshall University. 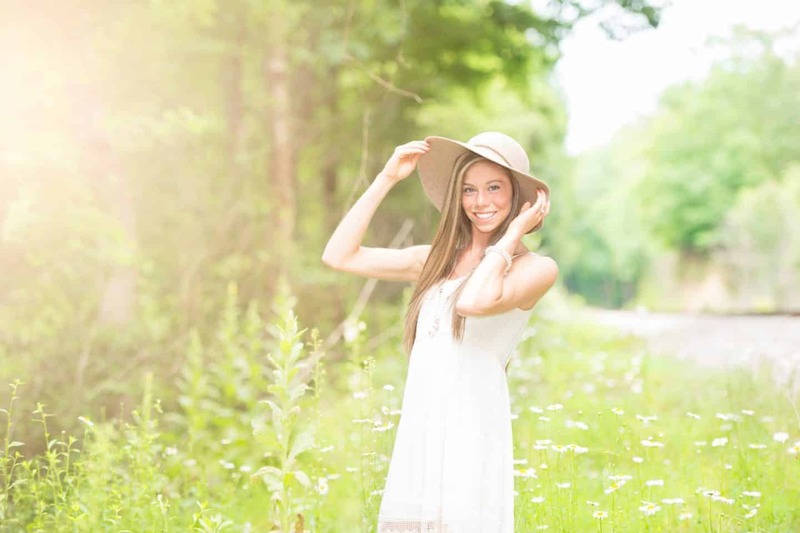 Studying Psychology in hopes of one day establishing a career in counseling, and a member of the MU XC and Track Team. Daughter, Sister, Dog Mom and Aunt. Lover of Christ, distance running, and strong coffee. 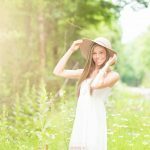 I battled restrictive eating and bulimia for 4 years, and I experienced one relapse in college. After dedicating myself to self-care and recovery, I’m thriving and loving my life – something I never thought I’d experience! I’m longing to use my voice and my story to help others and will continue to pursue any opportunity I encounter to reach out to anyone who may be struggling.